Our product range includes a wide range of pet bottle crusher machine. "Archana extrusion machinery mfg. 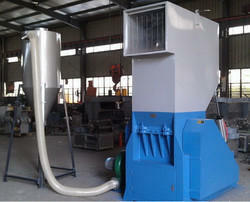 "Manufacturer & Exporter of Pet Bottle Scrap Machine. Our product range also comprises of Bottle Crusher Machines, Medical Waste Crusher and Industrial Shredders. The range of machines which we offer to the customers are engaged in the manufacture and supply of a wide range of products such as the Pet Bottle Scrap Machines which are used for shredding off the pet bottles so that the plastic can be recycles and these machines are used in engineering industries and they offer a high performance to the customers. These products have a very sturdy make and they have been priced at very reasonable rates.